At Lufthansa Cargo, the Warehouse Agent Junior is responsible for the safe and efficient physical handling of cargo and mail (including documents) under supervision. She/he works in accordance with the Cargo Handling Manual (CHM) & Ground Operations Manual (GOM). Physical acceptance, R4C and security check. ULD Build-up and monitoring/supporting external staff. Reporting of irregularities (missing, damages, …) and non-declared DGR Hand over freight to Customer. Works according to documented CHM and GOM procedures. Observes and applies the security requirements of LCAG and local authorities. Performs all other duties assigned or delegated by supervisors. Qualification according to CHM / GOM. Excellent ability to work under pressure. Good ability to work under pressure. Must be willing to work shifts/overtime. Must be willing to work under constant time pressure. Must be willing to work under high stress levels. Must be willing to work outdoor weather conditions. Must be willing to work with noise pollution. Authority to sign receipts for cargo or mail in accordance with acceptance and delivery procedures. Authority to sign ULD receipts. Authority to weigh and tag ULDs. 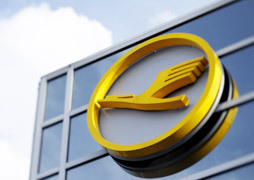 Lufthansa Cargo Aktiengesellschaft, headquartered in Frankfurt am Main, Germany, is a subsidiary of Deutsche Lufthansa Aktiengesellschaft. Lufthansa Cargo ranks among the world’s leading air freight carriers and currently employs about 4,150 people worldwide. Lufthansa Cargo focuses on the airport-to-airport business. The cargo carrier serves around 300 destinations in more than 100 countries with its own fleet of freighters, the belly capacities of passenger aircraft operated by the Lufthansa Group and an extensive road feeder service network. The bulk of the cargo volume is routed through Frankfurt Airport.